Pretty much every single week, we hear these stories about how 'evil' US tech companies are taking over Europe. We have the Media's constant battles against Google, who they say are killing them. We have publishers blaming Amazon. We have the politicians who seem to have found a new hobby of blaming US companies for anything from tax-evasion, to supporting the media's accusations. We have the Germans who want Google to be split up. And then we have the French, who are complaining that they don't have a French-owned Google. But it's not just traditional media and the politicians who are complaining. It's also the innovators and the startups who are constantly being outperformed by Silicon Valley. So... why is this? Why is Europe losing to the tech giants and startups from the US? Is it because we in Europe don't have what it takes? Well, no. Europeans are known throughout the world for their ingenuity and innovation. The reasons for France's "failure" to give birth to a Google-class search engine are simply summarized: Education and money. Google is a pure product of what France misses the most: a strong and diversified engineering pipeline supported by a business-oriented education system, and access to abundant capital. Take the famous (though controversial) Shanghai higher education ranking in computer science: France ranks in the 76 to 100 group with the University of Bordeaux; 101 to 150 for the highly regarded Ecole Normale Supérieure; and the much celebrated Ecole Polytechnique sits deep in the 150-200 group - with performance slowly degrading over the last ten years and a minuscule faculty of... 7 CS professors and assistant professors. That's the reality of computer science education in the most prestigious engineering school in France. As for access to capital, two numbers say it all: according to its own trade association, the size of the French venture capital sector is 1/33th of the US' while the GDP ratio is only 1 to 6. That's for 2013; in 2012, the ratio was 1/46th, things are improving. But on the other hand. The European startup scene is incredibly strong, and in many ways stronger than in the US. The real reason for Europe's failure is found somewhere else. It's not really because of our people or schools. It's simply because Europe, as a market, doesn't actually exist. Note: Before I go on, let me make it clear that this article is not affiliated with any political agenda. This is purely an analysis of the EU market from the perspective of why brands and the media struggle to make a difference. Europe should be winning... big! If we look at the demographics of Europe, which in this article I have defined as EU + Norway and Switzerland (30 countries), we should be winning, big time. These three combined, tell the story of a truly magnificent European market. The market as a whole is much bigger. We are closer together and better connected, which gives us a definite advantage of reaching our audiences. We need fewer shops to reach the same amount of people, and our advertising budgets can be utilized more efficiently. Europe has all the advantages... but... what you see above isn't what Europe is like at all. Let's look at the real population of Europe. Europe isn't one country. Instead, it's 30 completely separate markets. So while a US startup can reach 313 million people with the same product, in Europe we can't. 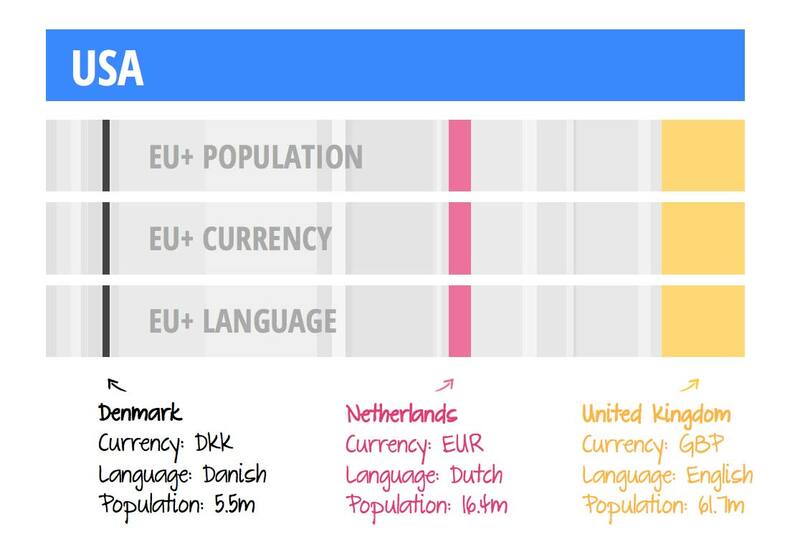 23 of the 28 countries of the EU are smaller than the state of California, and the country of Denmark (where I live) is smaller than the population of the San Francisco area. Then we have languages. In the US a startup can create one product, in English, and open itself up to the entire US market... and indeed the global market. In Europe, not so much. Each country has its own language. So a startup in Sweden can't expand into Belgium without first redesigning their product, engineering it to be multi-language, hiring separate support staff for each country, and many other things. This gives startups in the EU an immense disadvantage. It's the same with currency. It's true that most of Europe have joined the EURO, so we are heading in the right direction. But, while many EU countries may use the same currency, we have nowhere near the same purchasing power. Here is an illustration from Wikipedia illustrating the average salary in each country. 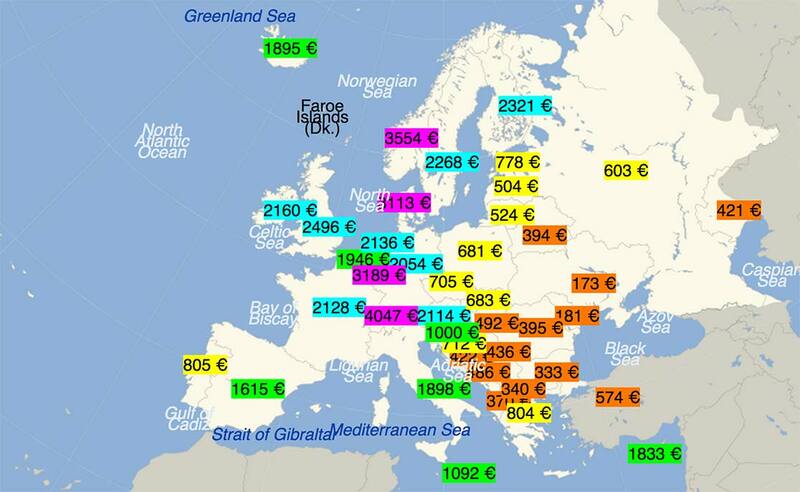 In Germany, the average salary is EUR 2,054, while in Poland (the country right next to it) it's only EUR 681. It's a difference of 300%. That's not a unified market, and it causes tremendous friction within the EU. And because of these three things, we don't have one European market. We have 30 completely separate markets, each one tiny in size compared with the US. And any form of expansion involves implementing costly, resource intensive and time consuming projects. Spotify, as we all know, is a great music service that was created by a startup in Sweden. That's great right? Here we have an EU startup taking on Apple and Google (and winning). But the reason it is winning is not because of Europe, but rather because it abandoned Europe early on. You see, Spotify might have started as a Swedish startup, but it quickly realized that being confined to only 9.3 million Swedish people (talking Swedish) was too limiting. So in 2008 it expanded into the much bigger international market of the UK (63m people). This way, they opened up the path for expansion into the much more lucrative market of the US in 2011, with 313m people. And only after launching in the US, did it consider expanding into the rest of Europe, with Germany only getting Spotify a year later. So here we have a European startup who was basically abandoning Europe as a market, and instead turning to England and USA for growth. This is why Europe is failing. This is also why Netflix is winning. Netflix could start their business as a US-only service, reaching a huge single market. And only once all the bugs had been squashed and their business had stabilized did they expand into first the UK and later the rest of Europe. But this also explains why Netflix in Europe is so hopeless. In the US, Netflix can secure licensing deals for US as a whole. In Europe, they have to secure them on a per-country basis. This is why Netflix in UK has a widely different selection of content than Netflix in Denmark. Can you imagine if this was how the US worked? That each of the 50 states had their own language and currency, and if Netflix wanted to enter the market in Florida, they would have to start from scratch, securing new deals and build UIs that fitted their language. Or look at Amazon. 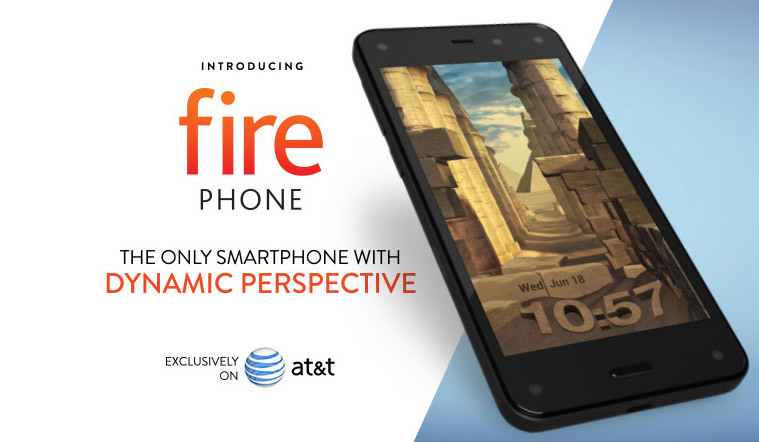 Last week they launched a new phone, the Amazon Fire Phone. It's currently US-only, and exclusively available via just one partner (AT&T). In the US this kind of thing makes a lot of sense. Amazon can test their new phone in a huge market, without having to worry about all the international issues, distribution and partnerships. If Amazon manages to sell 2 million phones by the end of 2014, that's a huge number, but only 0.6% of the US market. This is impossible to do in Europe. Imagine a Dutch company wanting to bring a new smartphone to the market, by partnering with a single Dutch carrier and making it 'Dutch only'. Even if they performed as well as Amazon (0.6%), they would only sell 100,000 phones. That's too few phones to justify the massive investment it is to create a new smartphone that can compete on the level of Samsung, Apple and Google. It's not that a Dutch company couldn't do it. It's just that the country of the Netherlands is too small a market to justify the needed investment. And expanding into the rest of Europe means partnering with not just one carrier but 25 different ones. And each one wants their own special contractual terms, some might want their own features, and they will all disagree on what the price should be. At the same time, the phone needs to be localized for each language, and not just the phone itself, but also how it is being marketed. We are killing our own ability to compete with US (and China) because we insist on being divided. A Norwegian version of Huffington Post? Another good example is how publishers fail to innovate. About 6 months ago, a publisher in Norway told me that they wanted to turn their newspaper into 'a Norwegian version of Huffington Post'. And sure, US based media companies like Huffington Post, Gawker, Business Insider, and Buzzfeed certainly have impressive traffic numbers, but they also have a huge market to play in. Huffington Post reaches 84 million uniques per month, of which 47 million are US based. This means that Huffington Post reaches 15% of the population of the US. If a Norwegian newspaper was to be just as successful (in terms of traffic), how big would they be? Well, considering that a Norwegian newspaper would be limited to reaching 15% of the 5 million people that are living in Norway, we end up with a total audience of 825,000 people. And while Huffington Post can easily gain international traffic, a Norwegian newspaper can't reach outside the country because all the articles will be posted in Norwegian. Even a German publisher can't really do it with its 82 million population. Buzzfeed reaches 130 million people globally, but only 18% of the population of the US. This means that a German publisher, doing the same as Buzzfeed, would only reach 14 million people. 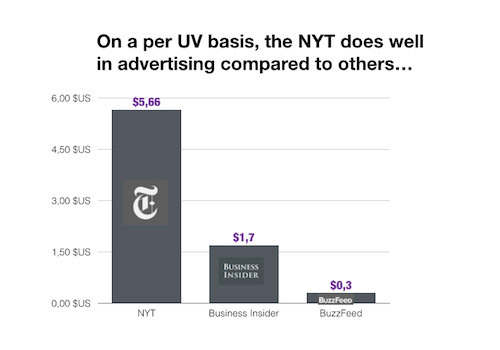 Buzzfeed can create one cheaply produced product and reach a global audience of 130 million. A German publisher can't because its product is limited to a German-speaking market. And this is the massive difference between European and US markets. In the US, they have one huge market, based on a globally accepted language that allows them to focus on building scale from day one. In Europe, we have 30 much smaller markets, each one not big enough to create the necessary scale. We are limited by 25 different languages, and while we are moving forward in terms of currency, we are nowhere close to having economic parity that allows us to use it effectively. And as long as Europe remains as divided as it is, we will remain stuck in this European quicksand where startups will have to turn to the US before they expand into the rest of Europe. We are losing our future, and it isn't because of US tech companies. A couple of weeks ago a market research company called me to ask me about a survey they were doing about Europe. One of the questions was if I supported the European Union. My answer was quite simple: No, I do not support the EU. We all know that the EU is one big joke. It's not about creating a unified Europe. It's about manifesting the political influence of each country. What I do want though, is to turn Europe into a single country, with a single language, a single currency, a single political system, and a single government. Not because of some political agenda, but because, when you compare the market power of Europe with that of the rest of the world, particularly the USA and China, we are increasingly putting ourselves at a disadvantage, which in the long run will prevent Europe from being an important player in the market. We have the skills, the ingenuity and the talent... but none of that makes much difference if we, like Spotify, have to turn to the US before we can expand inside Europe. Or if we, as publishers, are prevented from scaling our businesses because we insist on limiting ourselves to our local language and currency. Just a simple example: Today, about 5% of my total revenue goes to just paying the fees for handling different currencies. And yes, I know people say that we need to protect our culture, but that's really a bad argument. I, for instance, come from the land of the Vikings. 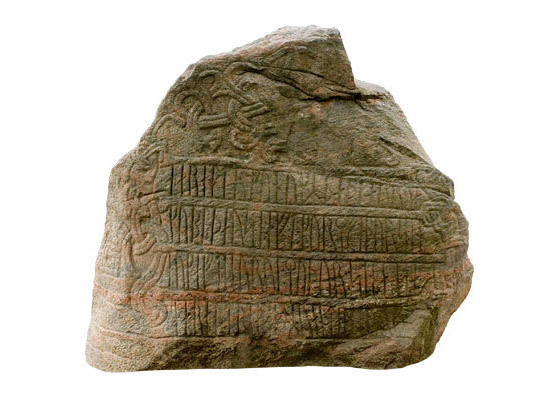 But during the Viking Age, the borders of Europe were very different than what they are today, we used a different form of currency, and spoke a different language. The money we use today in Denmark was introduced in 1875, that's only 139 years ago. And besides, everyone today is paying via credit cards, which were introduced only 31 years ago, in 1983. What possible reason do we have for insisting that every company must struggle with currency conversions and transfers when everyone is paying via a method invented only 31 years ago? I'm not saying we should give up our culture or our heritage, I just don't see what that has to do with creating a single European market with one language, currency and border. Of course, turning Europe into a single country is not likely to happen anytime soon. I do not even think it will happen in my lifetime. I hope it will, but I'm not planning for it. So in the meantime, we have to deal with the rather hopeless state of a divided Europe. We have to the deal with the language differences, different currencies, and different regulations (or at least inconsistent and anti-competitive ones). This dramatically changes the game that we play. In the US, startups and media companies are all competing on scale, because they have a single market where building scale is easy. In Europe, we can't do that, and as such, we also can't compete with the US tech companies who do (at least not without doing it the way Spotify did). But the problem with scale is that it's often created at the expense of quality. I call this 'creating scale through obscurity'. One simple example of this is to look at Buzzfeed. Yes, it's impressive that they have reached 130 million uniques, but when you compare their revenue per person, we also see that they have achieved that by completely and totally destroying the value of their advertising. Most social sites are doing the same thing. Yes, they make a ton of money because of their immense scale, but they make very little per person. In Europe, we will never be able to beat that. The Norwegian newspaper who wanted to be the Norwegian version of Huffington Post would only have a revenue of $250,000 if they acted the way Buzzfeed does. So in Europe, we have to play an entirely different game. One where scale is not the defining characteristic. We have to focus on making money in a way that means fewer people choose to pay a much higher price. And the only way to do that is to focus on building a dramatically different type of product. In Europe, high-margins is the best way to win. And this is where it gets interesting. Because when you think about it, high-value and high-margin products are a much more exciting thing to work with. Sure, it's also much more challenging, but this is where the European ingenuity comes into play. This is what we are good at, and have always been good at. It links back to something I wrote about earlier this month regarding mass-markets. There are two kinds. You can create a mass-market through making a lot of random non-targeted products (volume)... or you can create it by doing something that everyone just cannot live without (relevance). As long as Europe is divided as a market, we will always be at a disadvantage. We can't rely on scale (volume). But we can be the world's leader in terms of creating valuable and relevant products, experiences, and media. And the really exciting prospect about this is that, if we succeed to be the 'leader of value', when we later expand to other countries (and get the scale), we will have a much better product than any of the startups who just focused on scale to begin with. So instead of trying to be the next Buzzfeed... try to be the next GoPro.